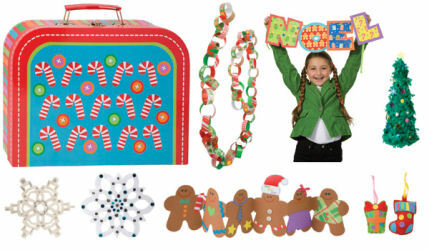 Christmas cardmaking, papercraft, collage, and sewing in one jolly kit! 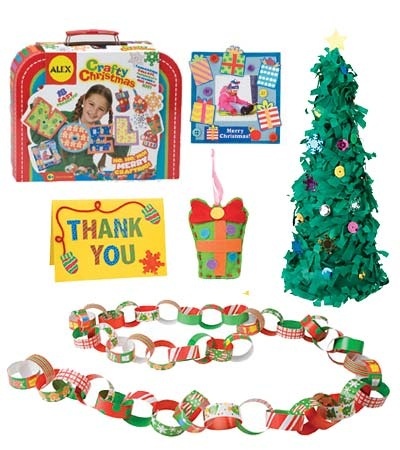 18 easy projects including felt ornaments, cards, gift tags, Christmas tree, tissue paper wreath, picture frames and paper chains. 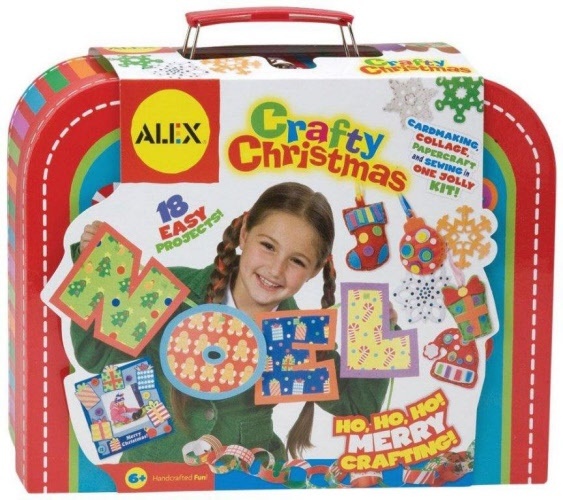 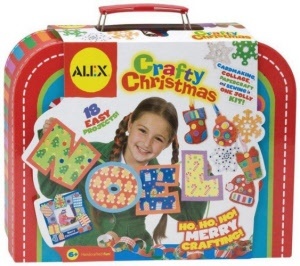 This kit contains printed, crinkle, construction and tissue paper as well as lots of stickers, buttons, felt, sequins, sticky gems and more! 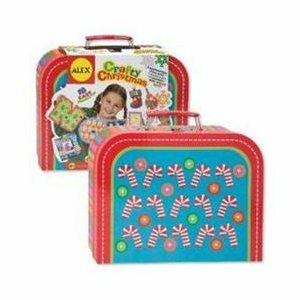 Easy instructions are included for all of the projects and the suitcase makes a great storage case once all of the crafting is done!